Leasing is a contract, and for that reason, you want to understand the terms before you sign it to get the most from it. An area that some business owners ignore is the terms related to how a technician will service them. You want to paint a clear picture for what you will be responsible for paying for and what you will not. In addition, you also want to know the average response time to reduce downtime. 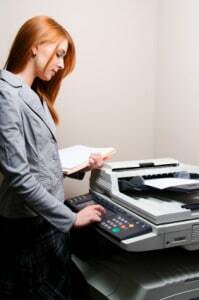 When a technician comes to repair your copier, in some cases, they will have to print off dozens or even hundreds of copies to make sure that your equipment works. Will you be charged for that? Also, will they be using your toner cartridges to do it? You want to know in advance if the leasing company will bear the burden of that cost or if you will be the one stuck with the bill. Understanding your terms of service is one of the best ways to save money on printing and get the most from your lease. In addition, you will also want to know the experience of the technician servicing your equipment. At our company, we use exclusively Xerox-authorized technicians.